Over the past few years there has been a great deal of finger-pointing going on surrounding the UK’s issue of excessive car accident and whiplash claims being made (let’s ignore for a moment the recent news of government figures reporting a drop in whiplash claims from car accidents last year as published by the Law Society Gazette). While many of the issues have been proven to be coming from the insurance industry, a small handful of dodgy claims management companies have made for wonderful media scapegoats in the newspapers. To be fair, there was a small number of exceedingly shady people, staging car accidents and then falsifying claims which were subsequently made, a set-up which they openly boasted about with undercover BBC reporters. Frankly, it’s almost unbelievable. In spite of the fact that the majority of claims management firms work well within Ministry of Justice (MoJ) regulations and are otherwise legitimately run, there are still a great many complaints over the service which is received. Furthermore, the MoJ itself will admit that the vast majority of the complaints come from PPI companies rather than car accident claims specialists. In principle, the business model framework of a claims management company is a relatively simple affair. This has tempted a large number of people to try and set one up in order to try and make what they think is going to be an easy buck. However, the individuals that comprise, for example, the group of over 700 claims claims companies which were shut down are not necessarily businessmen and entrepreneurs by nature. The idea of building a client-focused company to ensure that people feel looked after through their difficult times has come secondary to the idea of making money and, as any successful businessman will tell you, that this is a great folly. Not only this but the almost insurmountable challenge of Internet marketing to earn your enquiries legally proved too much. This saw a number of companies bending rules to make unsolicited contact (as I wrote about here) to people (myself included, annoyingly) in order to badger them into making compensation claims for car accidents and other incidents which didn’t happen. Furthermore, financial incentives are being offered on websites to make a claim, another regulation of the MoJ which is being soiled by many claims companies. Fortunately, there are some new regulations coming into place. Recently, documentation was sent out to claims management companies from the MoJ’s Claims Regulation department outlining some of the changes which are to be made. It was interesting to see that the documentation stated that these so-called ‘new’ regulations would be implemented in order to stop these bad practices. However, many of them were disallowed from the outset. The MoJ appears to be acting in such a way to say that it’s not allowing them any more, but really, it’s just saying that it’s going to actually start doing something about it. It’s all very odd but, either way, moving things forward can only raise standards of industry which can only mean a good thing for claimants all over the UK. 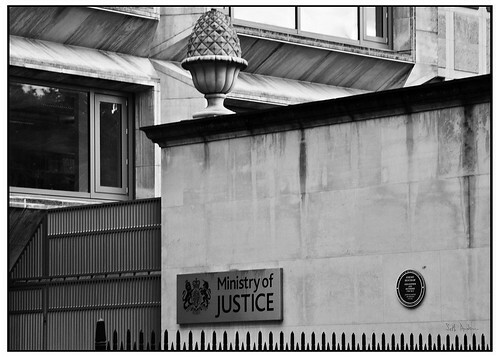 In defence of the MoJ, I suspect that there was (and is) some particularly cunning legal grey areas capitalised upon by many of the companies and I suspect that the Legal Ombudsman will do a good job. Fingers crossed that further stringent rules may help the legitimate claims companies regain a modicum of respect within the industry even if, realistically, I think we all know that’s a wholly optimistic sentiment to say the very least.